There are many books on earthquake engineering, but few are of direct use to the practising structural designer. This one, however, offers a new perspective, putting emphasis on the practical aspects of quantifying seismic loading, and explaining the importance of geotechnical effects during a major seismic event in readily understandable terms. The author has succeeded in marrying important seismological considerations with structural engineering practice, and this long–awaited book will find ready acceptance in the profession." This book provides a practical guide to the basic essentials of earthquake engineering with a focus on seismic loading and structural design. 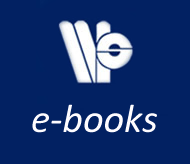 Benefiting from the author′s extensive career in structural and earthquake engineering, dynamic analysis and lecturing, it is written from an industry perspective at a level suitable for graduate students. 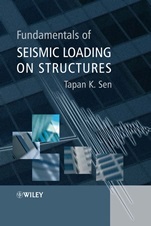 Fundamentals of Seismic Loading on Structures is organised into four major sections: introduction to earthquakes and related engineering problems, analysis, seismic loading, and design concepts.From a practical perspective, reviews linear and non–linear behaviour, introduces concepts of uniform hazard spectra, discusses loading provisions in design codes and examines soil–structure interaction issues, allowing the reader to quickly identify and implement information in a working environment.Discusses probabilistic methods that are widely employed in the assessment of seismic hazard, illustrating the use of Monte Carlo simulation with a number of worked examples.Summarises the latest developments in the field such as performance–based seismic engineering and advances in liquefaction research. 1.2 The Nature of Earthquakes. 1.8 Reid′s Elastic Rebound Theory. 1.9 Significant Milestones in Earthquake Engineering. 2 Single Degree of Freedom Systems. 3 Systems with Many Degrees of Freedom. 3.2 Lumped Parameter Systems with Two Degrees of Freedom. 3.3 Lumped Parameter Systems with more than Two Degrees of Freedom. 4 Basics of Random Vibrations. 4.4 Numerical Integration Scheme for Frequency Content. 4.5 A Worked Example (Erzincan, 1992). 5.1 Characteristics of Ground Motion. 6 Introduction to Response Spectra. 6.3 Site Dependent Response Spectra. 7 Probabilistic Seismic Hazard Analysis. 7.2 Basic Steps in Probabilistic Seismic Hazard Analysis (PSHA). 7.3 Guide to Analytical Steps. 7.4 PSHA as Introduced by Cornell. 7.5 Monte Carlo Simulation Techniques. 7.6 Construction of Uniform Hazard Spectrum. 8.5 A Worked Example (IBC 2000). 9 Inelastic Analysis and Design Concepts (with Particular Reference to H–Sections). 9.2 Behaviour of Beam Columns. 9.3 Full Scale Laboratory Tests. 9.4 Concepts and Issues: Frames Subjected to Seismic Loading. 9.5 Proceeding with Dynamic Analysis (MDOF systems). 9.6 Behaviour of Steel Members under Cyclic Loading. 10.2 Definition of the Problem. 10.3 Damaging Effects due to Amplification. 10.4 Damaging Effects Due to Liquefaction. 11.2 Evaluation of Liquefaction Resistance. 11.3 Liquefaction Analysis – Worked Example. 11.4 SPT Correlation for Assessing Liquefaction. 11.5 Influence of Fines Content. 11.6 Evaluation of Liquefaction Potential of Clay (cohesive) Soil. 11.7 Construction of Foundations of Structures in the Earthquake Zones Susceptible to Liquefaction. 12 Performance Based Seismic Engineering – An Introduction. 12.2 Background to Current Developments. 12.5 Second Generation Tools for PBSE. Professor Patrick J. Dowling CBE, DL, DSc, FIStructE, Hon MRIA, FIAE, FREng, FRS Chairman, British Association for the Advancement of Science Emeritus Professor and Retired Vice Chancellor, University of Surrey. "There are many books on earthquake engineering, but few are of direct use to the practising structural designer. This one, however, offers a new perspective, putting emphasis on the practical aspects of quantifying seismic loading, and ex plaining the importance of geotechnical effects during a major seismic event in readily understandable terms. The author has succeeded in marrying important seismological considerations with structural engineering practice, and this long–awaited book will find ready acceptance in the profession."